The B7 Fast-Neutron Diamond Detector is optimized for the detection of fast-neutrons at high flux rates. It is especially suited for flux measurements in plasma facilities and nuclear fusion facilities. 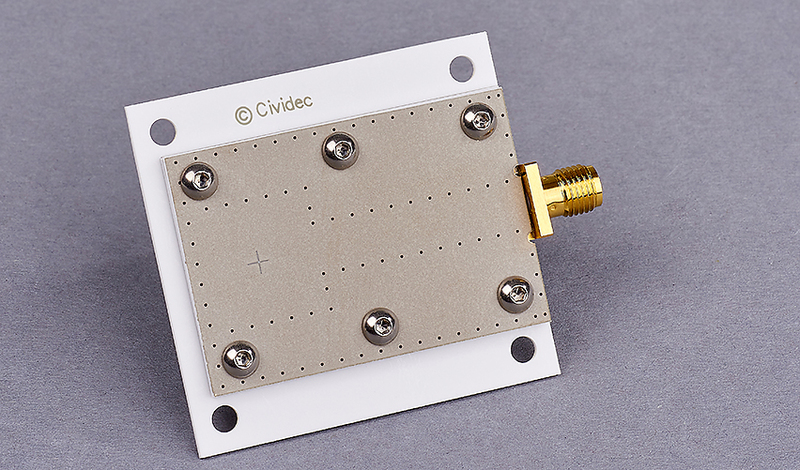 Fast-neutrons are measured with this detector with an efficiency of a few percent, where the diamond sensor itself serves as neutron converter. The B7 Fast-Neutron Diamond Detector can be adapted for applications with exceptionally high neutron flux rates. 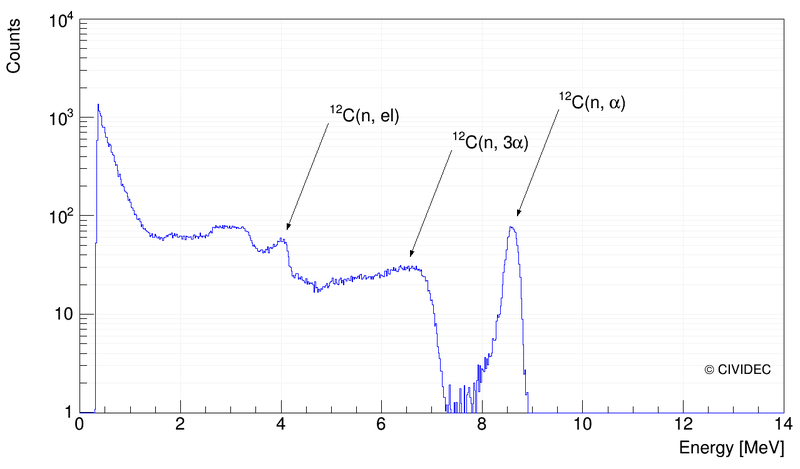 The response function of the B7 Fast-Neutron Diamond Detector has a characteristic shape for different neutron energies. The response to 14.3 MeV neutrons is shown in the Figure. The clearly separated peak corresponding to 12C(n,α)9Be is used for neutron flux monitoring, for neutron energies above 8 MeV. Below this energy the 12C(n,el) reaction is used.